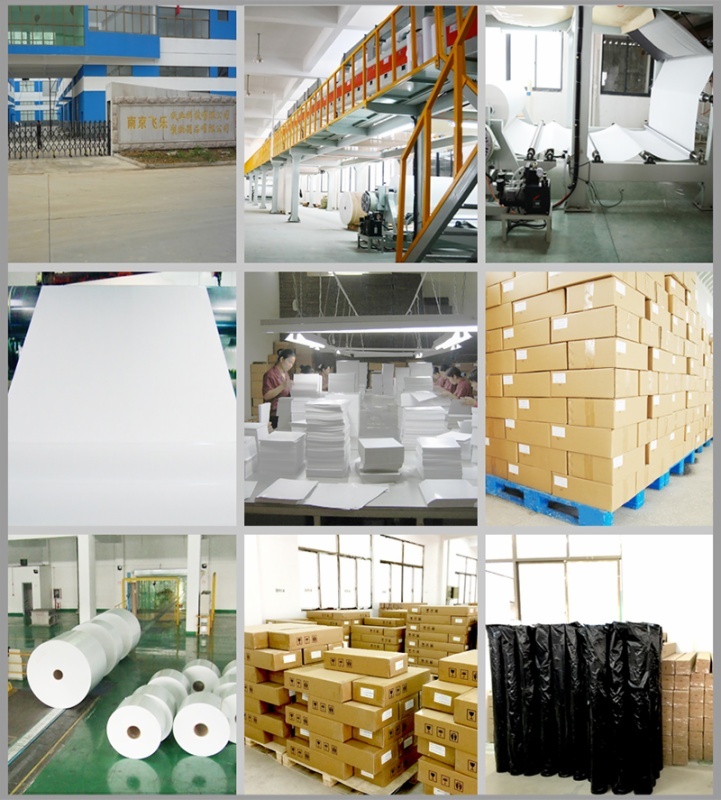 Item Code: Features:About storage: In order to protect unused sublimation paper, it is recommended to store it in its original packaging, in the poly bag at 68°F -82°F( 20°C -28°C) and 40-60% RH. About printing: Image side is wound to the outside of the paper. Printing is performed in ″mirror″ image. Allow the printing ink to dry before transferring. Multi-purpose ink jet sublimation printing paper, 8.5" x 11", 100 sheets/pack. Cut sheet stock, suitable for all substrates. Our MOQ is 300 Packages. 2. One stop Solution: We offer a wide range of sublimation paper, ink and Blanks. Making you able to source all the items you need. 97%+ transfer rate Professional basic sublimation paper Fast speed drying Greater printing speed Reduce excessive ink limits Eliminate ghosting About storage: In order to protect unused sublimation paper, it is recommended to store it in its original packaging, in the poly bag at 68°F -82°F( 20°C -28°C) and 40-60% RH. • Using sublimation ink. • Printed image by printer with pizeo printhead like epson printer. • Fine strength, without breaking, fragilizing, coking and shrinking. • Fine flatness of surface. • Widely used for light color fiber cloth,ceramic mugs and plates, metal sheet,etc. Specifications 1, Grade A Quality sublimation paper 2, can print full black color 3, Super Instant dry 4, transfer rate: 95% 5, passed ISO9001, ISO14001 good tensile strength and flexility, shorter transfer time, high color brilliance. Can be used for all kinds of materials, such as Ceramic, Mug, Textile, Umbrella, Flag, lether, Wood, Glass, Iron, Marble. Etc. - Photo quality , waterproof , instant dry. - Greater print speeds. - Reduce excessive ink limits. 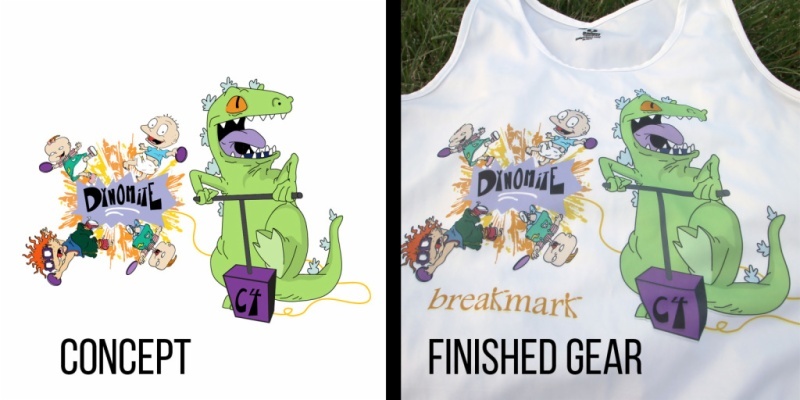 - Greater sublimation color release. - Improved color gamut. - Eliminate ghosting. - Improved detail and resolution. 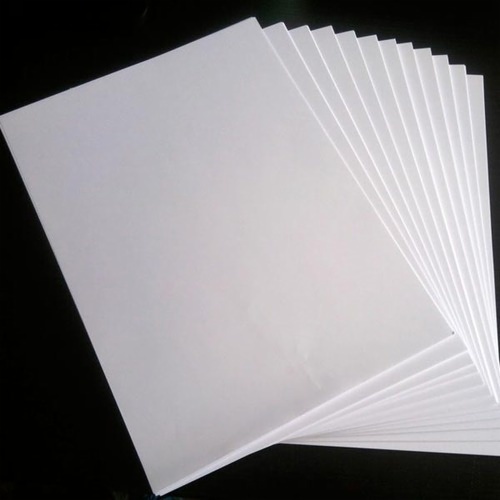 Sublimation Transfer Paper A4 Size Size: A4 Packing: 100sheets/pack Printer: Inkjet Printers Feature: Can be used for all kinds of materials, such as Ceramic, Mug, Textile, Umbrella, Flag, lether, Wood, Glass, Iron, Marble. Etc.